is the Director of Rhona Hoffman Gallery, Chicago, IL. She recently started her own project space, Anastasia Tinari Projects to exhibit more emerging contemporary artists. If you find fame in the arts- that’s fantastic! However, fame is arbitrary, random, and fickle, and it’s more productive to pursue quality and pride in the work you are making. Pursue your own inner vision. Working at an established gallery, I see artists submitting their work and feeling rejected when it’s clearly not the right fit. When you’re applying for a job or opportunity, you don’t see the full picture. 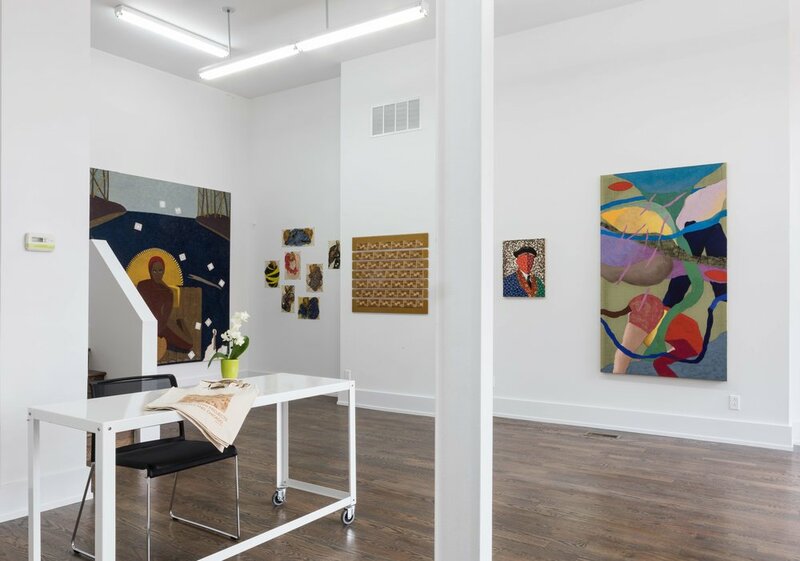 Artists don’t fully understand the gallery owner’s interests and taste, and even when we like an artist, there are many studio visits, conversations, and a long-lasting relationship before an exhibition happens. The most successful partnerships evolve organically. As an artist and a curator/ arts professional, you should discuss your work with colleagues and put yourself out there as much as possible - but rejection doesn’t even need to be a consideration. When the timing, chemistry, and interests align, it will happen. The most “successful” Chicago-based artists I work with at Rhona Hoffman Gallery (Michael Rakowitz, Anne Wilson, Julia Fish, Judy Ledgerwood, Richard Rezac, David Schutter) all support themselves by teaching at Northwestern, UChicago, and SAIC (School of the Art Institute Chicago. While our younger New York-based artists are able to support themselves as full-time studio artists, Chicago just does not have the financial market to support a full time artist. I think income and financial stability in the art world depends on where you live. You can constantly hustle in New York, or live in a smaller city that provides affordable studios and a supportive environment for artists to make work at a slower pace. Installation view: "Automythography: Mequitta Ahuja, Kambui Olujimi, Kaveri Raina, Ato Ribeiro, Alex Yudzon," July 8 - August 30, 2017. Anastasia Tinari Projects, Chicago, IL. Photo: Michael Tropea. I don’t have a straight definition… of course there are rankings and lists for influential people, curators, collectors; there are mega art exhibitions like the Venice Biennial, Documenta, etc... that serve as markers. However, if you’re producing work that feels sincere, important, and you are proud to share it with others- that’s the best measure of personal success. Katherine Dreier, founder of Société Anonyme (S.A.). An organization for the exhibition and promotion of Modern Art that brought German and Russian artists including Archipenko, Wassily Kandinsky, Campendonk, Malevich, and others to a very Franco-centric New York art scene. Dreier founded S. A. with Marcel Duchamp and Man Ray in 1920, and started a rigorous exhibition and education program years before the Museum of Modern Art. Onya La Tour, an Indiana-native whom I discovered at the Indianapolis Museum of Art. Never wealthy, La Tour lived in New York during the 1930s and worked in the Works Progress Administration's Federal Art Gallery, where she surrounded herself with artists including David Burliuk, John Graham and Stuart Davis. She started an apartment gallery in her New York apartment, and slowly gathered her own scrappy collection. After the WPA, La Tour moved back to Indiana and bought a farmhouse she called the “Indiana Museum for Modern Art,” to which she invited artists to come, stay and work like an artist residency. My current boss Rhona Hoffman, who is uncompromising in her integrity, dedication, and passion for artists in whom she believes. Rhona is bold, speaks her mind, and there is never a dull moment; her gallery and artists are more than a business, it’s her family and heart. Which advice on success would you give your 18-year old self? It’s okay to take your time, stay broadly open and curious, and take advantage of professors and professional mentors around you. We do need more socio-economic diversity in the curatorial and administrative fields, which is difficult given that most art careers begin by paying your dues in unpaid internships and low-paying jobs. For a long time, it’s a HUSTLE. That’s why grit, dedication, and hard work are the biggest measures of success.